Murder by Gaslight: Startling Parallelisms. Just five days before the start of Lizzie Borden’s trial for the murder of her father and step-mother in Fall River, Massachusetts, the town was shocked by another brutal axe murder. The mutilated body of Bertha Manchester was found in the kitchen of her home. The “startling parallelism” between this case and the Borden murders—the excessive number of wounds in each case, the fact that both incidents occurred in broad daylight, the lack of any apparent motive—threatened to open a new line of defense in Lizzie’s trial. It would, at very least, challenge many of the prosecution’s stated assumptions. Twenty-two-year-old Bertha M. Manchester lived with her father Stephen and brother Frederick on a dairy farm on New Boston Road, in Fall River, Massachusetts. On the morning of May 31, 1893, Stephen and Freddie left to make their regular milk deliveries. When they returned that afternoon they found Bertha’s mangled body lying in a pool of blood, next to the stove in the kitchen. She had been hacked to death with an axe—the murder weapon was found lying by the woodpile outside. Bertha’s watch and a purse containing a small amount of money had been taken; nothing else was missing from the house. An autopsy revealed “twenty-three distinct and separate axe wounds on the back of the skull and its base.” Defensive wounds and ripped clothing indicated that she had put up a fierce struggle with her assailant before being overpowered. Stephen Manchester was a widower whose second wife had left him because he was mean and extremely cheap. Early in the investigation he was considered a suspect because continued his daily routine as if nothing had happened. But soon suspicion fell on Manchester’s hired hands, many of whom were disgruntled over the low pay they received from him. "I can’t remember the names of these Frenchmen and Portuguese I have had. Half of the time I don’t know them. I have had Antoines and Joes and Georges. The police have been pestering me all day to remember some of the names, but I can not break my jaw over their names. Suspicion soon fell on a man named Jose Correa deMello who had recently left the farm on bad terms with his employer. deMello was Portuguese, an immigrant from the Azores, and as such, would have been on the lowest rung of Fall River society. The police feared that if they began investigating, the Portuguese community would rally to deMellos defense and they would get no information. Instead they used subterfuge to get deMello to turn himself in. The police contacted Jose deMello’s uncle, Jacintho Muniz Machado, and Frank Machado Silva, a leader in the Portuguese-American community and persuaded them to tell deMello that they needed him as a witness to a horse theft, and would pay a hefty witness fee. deMello went to the police station with no idea that he was a murder suspect. There he was strenuously interrogated for four hours. The main piece of evidence against Jose deMello came from the owner of a shoe store who claimed that deMello bought a new pair of shoes from him after the murder and tried to pay with a “trade dollar” and a “plugged half-dollar.” These distinctive coins were known to have been in the purse stolen from Bertha Manchester. … on condition that if before the expiration of said sentence he commit any crime punishable by imprisonment, and he convicted thereof, either before or after the expiration of said sentence, he shall serve the remainder thereof. He was also required to return to his native Azores and never come back to the United States. Lizzie, of course, was in jail at the time, awaiting the start of her trial. But this shocking murder, so similar to the Borden murders, did change attitudes in the opposite direction—increasing the possibility that Lizzie didn’t do it. 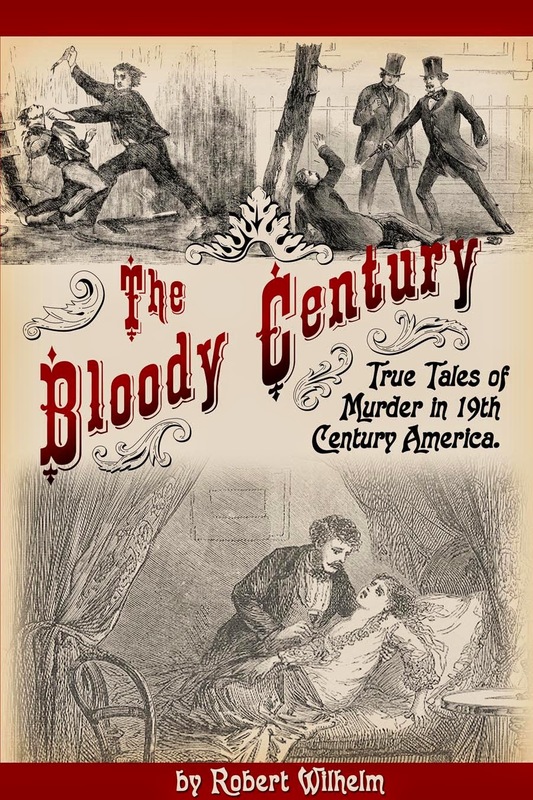 The arrest of Jose deMello occurred on the day Lizzie Borden’s trial opened. deMello had not arrived in the United States until April 1893, so could not have murdered the Bordens in August 1892, but this was not learned until after the jury was selected in Lizzie’s trial. The facts surrounding the murder of Bertha Manchester cast doubts on a number of assertions made by the prosecution in the Borden case. The Bordens each died of multiple blows from an axe—Abbey nineteen, Andrew twenty—this, said the prosecution, indicated a woman murder; a man would use only one blow. Yet Bertha Manchester was murdered by a man using twenty-three blows. The fact that the Borden’s were killed in broad daylight indicated that a member of the household did the murders, yet Bertha Manchester was killed around the same time of day, with neighbors at home, just across the road, and no member of the Manchester household was involved. While the murder of Bertha Manchester did not play a direct role in Lizzie’s trial, the two cases were playing out side-by-side in the daily newspapers. It was not lost on anyone, in or out of court, how easy it was for a man to enter the Manchester house, commit a brutal axe murder in broad daylight, and leave without being noticed. Douglas, John E., and Mark Olshaker. The Cases That Haunt Us . New York: Scribner, 2000. Martins, Michael, and Dennis A. Binette. Parallel Lives: A Social History of Lizzie A. Borden and Her Fall River . Fall River, Mass. : Fall River Historical Society, 2010. "Startling Parallelisms." Boston Daily Globe 1 June 1893: 1. Did not Billy Borden live and die in that area? They need to test some hair for poison. Not only that, but someone could have been in wait in Emma's room just waiting to pounce (biding their time), and not one soul would have had a clue! Also, it is clear that Lizzie is not being completely truthful about her aliby. I submit that she was involved in something that was was acceptable for her to do in the 1890s and would have been frowned upon in the 1990s.